When you specialize in a service or an industry it helps set you apart from your competition. When a potential customer is looking for a virtual administrator chances are they have a very specific task in mind. If you provide that service or specialize in their industry then you’re going to make it to the top of their list. Not specializing can make you crazy. Choosing a specialty means you don’t have to juggle too many tasks and responsibilities. It’s challenging enough to own and grow your own business. The last thing you want to do is add more challenges to your day. If you specialize in a task or an industry then you can focus on being the best provider possible. Specializing helps you raise your rates. The truth is, specialists make more money. It’s not limited to the VA industry either. It’s everywhere. If you specialize, there’s a presumption that you have specialized knowledge and skills too. People pay more for that knowledge. It’s tough to market your business to a target audience if you offer everything. However, if you offer forum moderation and blog management for the parenting and child care industry then it’s much easier to market your services. You know exactly who you’re marketing to and the benefit you can provide them. So How Do You Choose a Specialty? An industry. For example, parenting and childcare. A task. For example, blog management and creation. An industry and a task. For example, blog management for the parenting and child care industry. You might think that this degree of specialization limits you. However, consider this. If there are 500 blogs on parenting and child care and you gain five of them as clients. You probably have a full schedule. There’s plenty of work to go around. Specialization simply makes your business easier to manage and grow. Specialize in what you know. If you are skilled at transcription then specialize in transcription. If you’re an expert blogger or bookkeeper then specialize in those tasks. If you know the ins and outs of coaching then specialize in virtual administration for coaches. Specialize in what you like and enjoy. If you love social networking then specialize in managing and creating social networking profiles. You’ll be much happier and productive if you’re doing something you enjoy. Specialize in something that’s in demand. Take a look at the job boards. What jobs are commonly posted for virtual assistants? Chances are, that’s an in demand niche. If it’s also something you enjoy and are skilled in then you have a winner. Remember, you can grow and change. You might be worried about limiting yourself if you specialize. However, you can always add more services to your portfolio. Your needs, tastes, and business will grow and change. It’s perfectly acceptable to change your services as you grow. Specializing simply helps you attain the success you desire. So you’ve just started a VA business and you need clients. Not to worry. You’re in a high demand business. The clients are there. You just have to know where to look. True, there are some scams out there. However, the legitimate opportunities far outweigh the scams. Here are three great ways to find legitimate VA opportunities. In the beginning, there are a few key places to find legitimate VA opportunities. The first and often best resource is your connections. Ask your friends. Ask your family. And ask your business associates for referrals. Often, the best clients come from known sources. Consider creating an email and sending it to the connections in your rolodex. Introduce your services. Stress the benefits you offer. And ask for referrals. You might even offer a referral bonus. For example, for each new client you receive the person earns a credit toward your services. You could really motivate people by offering cash. Just make sure that you can afford it! Another way to build your business and find legitimate VA opportunities is through networking. If you have a social networking profile, consider connecting with a few people you’d like to work with. Send them an email or a message introducing yourself. The worst thing that can happen is nothing. The best…you get a new client. Don’t forget to promote yourself on social networking sites too. Offer promotions. Link to your blog and online content. Become a valuable contributor and help others as well. They’ll remember you and turn to you for assistance in the future. Networking offline is great too. Join your local business organizations. Attend networking events. Bring a business card, confidence and a smile. You’re sure to meet a few new clients. Finally, there are the freelance job sites and the job boards. These are full of legitimate opportunities. They’re also full of scams. Use them wisely. Make sure you research each potential opportunity thoroughly. Speak to a live person if you can. And sites like Elance that control the payment, communication and delivery process are good. They can help you if there’s ever a dispute. And they require providers and employers to leave feedback. If the employer doesn’t have good feedback, don’t work with them. There are legitimate VA opportunities everywhere. Market your services. Get out and meet people. And don’t be afraid to use the job boards. They do provide excellent experience, connections and profit potential. To your success! Job boards are a wonderful tool. They can help you launch your business. They can provide a consistent income while you’re building your business. And when you have the eventual dips in your schedule or slow season you can use them to provide additional income. As a virtual assistant, you may want to focus your attention solely on job boards for virtual assistants. There are all encompassing freelance job boards. These generally require a membership. The freelance job board can serve its purpose. However, you may find better clients via a VA job board. Check out both options and choose the opportunities that are right for you. Always research your potential client. Make sure they’re legitimate and that they follow through on their commitments. Some job boards simply work like classified ads. You apply for the position and communicate directly with the client. Others work as a go-between. All agreements, payments and work are managed through the job site. Both situations have their pros and cons. Again, make sure you’re working with a legitimate company and job site. Check references. Read reviews. Most opportunities are legitimate. However, it always pays to be safe. When you’re ready for that first client, tell your friends and family. Send an email to your associates. Let everyone know what you’re able to provide. Your Rolodex of contacts is a great place to get started. With a few simple email messages and phone calls you’ll likely land a few great clients. There’s no shame in using your resources. And there really are no better clients than those who are referred to you from friends, family and associates. If you’re not already active on a social networking site, get a profile and start connecting. Networking online is a wonderful way to market your services. It’s also a great way to meet new people. 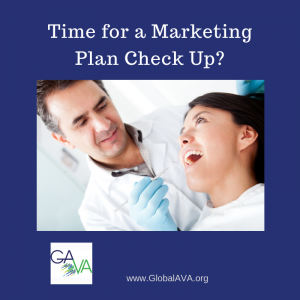 There are many ways to market your VA business. Knock on doors. Connect with people online and in your community. Use your resources and explore your opportunities. You’ll have a full schedule in no time. Being a virtual assistant has definite perks. You have the freedom to choose your hours. You can call in sick without feeling guilty. And of course you’re in control of who you work with and the projects you work on. However, in the beginning and certainly throughout your virtual assistance career, you’ll likely take on projects that are with clients you’d rather pass on. Many VAs struggle to find their ideal clients. Before you can go on a scavenger hunt for your ideal client, you want to identify what makes them ideal. Is it a topic, project type or subject matter that you find ideal? Do you prefer certain communication styles? Are you looking for someone who is detail oriented or someone who lets you manage the details? Do you want to work together as a team or would you rather work alone? Many people view their ideal client as someone who provides them with a constant stream of well-paying work. That’s certainly a bonus. However, if you don’t enjoy working with that client or on their projects, the money isn’t going to be as fun to earn. They won’t be an ideal client. Take some notes or jot down an idea of who your ideal client is. Daydream for a minute and imagine who they are. This is your ideal client profile. Keep this information where you can review it often. The next step is to explore where your ideal client may hang out. Do they participate on industry forums? Are they in your local networking group? Find out where they hang out and make yourself a part of their world. For example, if your ideal client is a small business blogger interested in parenting and child-related topics, then you may network on small business blogging sites or parenting sites. Check out the people who are hanging out there too. Connect with them. Introduce yourself. Perhaps you already know who your ideal client is. Maybe you love the products a company offers, you like their personality and would love to work with them. Then by all means hold out your virtual hand and introduce yourself. Let them know you admire their work. Tell them what you do and offer your services. Consider offering a project on spec. That way they get to know you and the amazing freelance work you do, and there’s no risk to them. Ask for an introduction. If you know people who know people, tell them who your ideal client is and ask for referrals and introductions. If there’s one thing everyone should have been taught in school, it is that hard work is only part of the success equation. Who you know is also important, and it makes the trip to success street much faster and easier. Finding your ideal client isn’t difficult. Describe them in a paragraph or two; create an ideal client profile. Then seek them out online and off. Ask for introductions and referrals. Connect with them and don’t be shy. Your ideal client may be looking for an ideal virtual assistant – you! Here are some great ideas to help market your small business. The nice thing about them is they don’t require you to re-mortgage your house in order to make them doable. A Company Website: This form of marketing just keeps on giving ….24/7. Signs in/on your vehicle: A moving bill-board. What Better way to expand your exposure. Join your local business association: Your membership will give back in more ways than one. Iron on Transfers: Why not have you and the kids as walking advertisements. The kids will love it. Keep in touch marketing: You are reading one form right Now. Articles and Press Releases: Get recognized as an expert in your field by helping others. Pin up Flyers: Let your neighbours know you are in business And offer them a discount. Networking: I know, I am always bringing this subject up, but I truly believe in its power to help increase business. Testimonials: Let those who may be skeptical, know how happy your clients are. No matter which marketing efforts you use, keep track of your results. Ask clients how they heard about you. Put your imagination to work instead of your wallet and watch the business roll in. Janice Byer, owner of Docu-Type Administrative & Web Design Services (http://www.docutype.net) provides professional, creative and affordable virtual office assistance and small business website design. 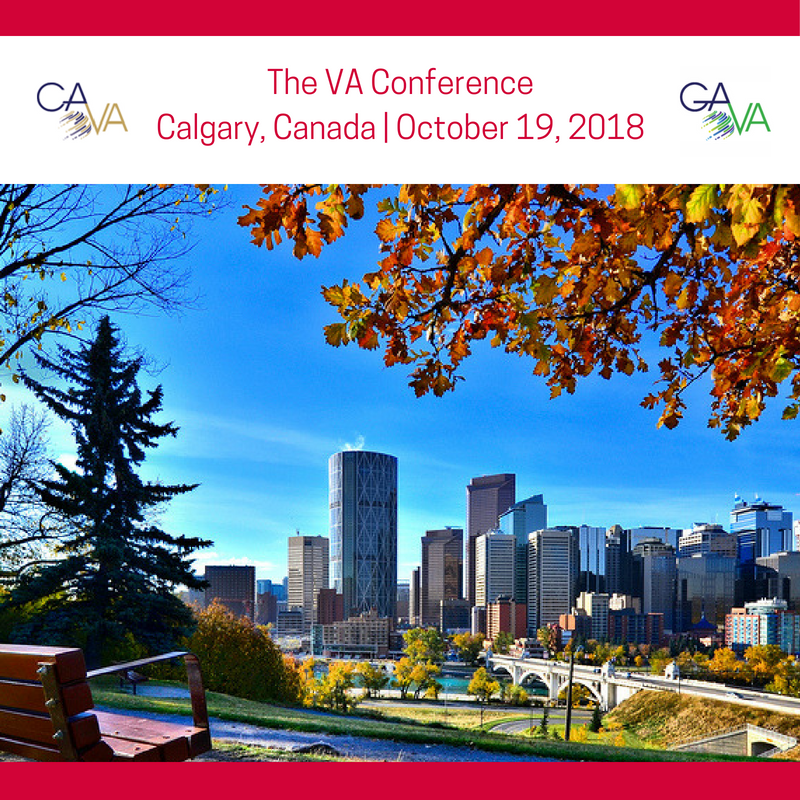 She is a Certified Canadian Virtual Assistant (CCVA), Master Virtual Assistant (MVA) and co-founder of the Canadian Virtual Assistant Connection. She is also the author of Surfin’ The Net – Docu-Type’s Virtual Collection of Links, (http://www.docutype.net/SurfinTheNet/linksebook.htm) which is filled with the secrets of her success. Visit her website for more information and to get your copy.